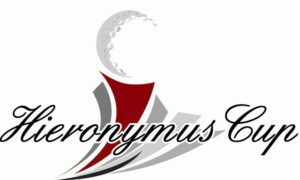 All Players selected to be a part of the Hieronymus Cup Teams must be a current member of the Missouri Golf Association. Members of each team are selected by points earned in the Point Events. Go to Player Standings page for the points allocation table or click here. 20 players represent the West side. If a player from the West side finishes in third place he will receive the third place points from the Player of the Year points. He will then receive points based on where he finished against the other West side players. So then in return if he was the top finisher out of all the West players in the field then he would receive first place points for the West in the Cup Team Points Category. So in this example, if the players from the East finished in first and second place then the player from the West gets the first place points for finishing first on his team. Entry Fee Includes: team attire, social events, luncheons, and 4 rounds of golf.